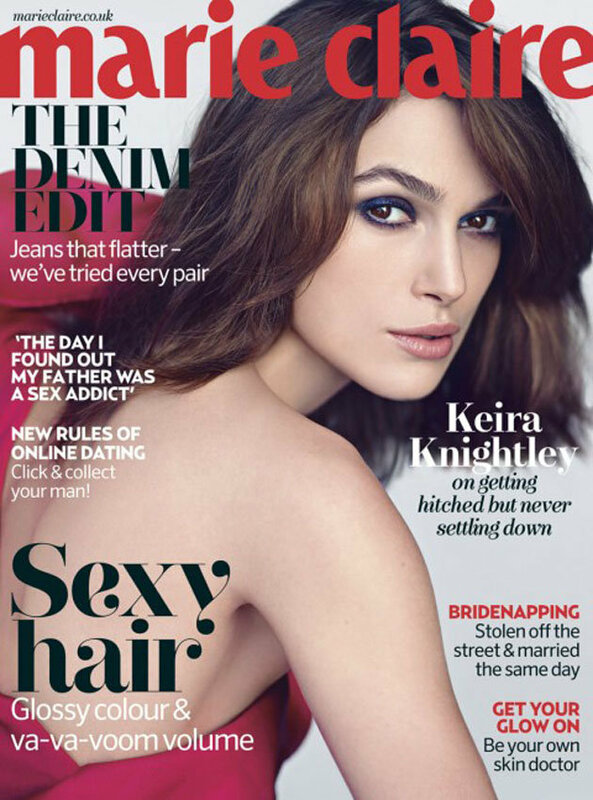 Keira Knightley covers the May edition of Marie Claire UK. Shot by Nathaniel Goldberg, the British actress wear Valentino, Tom Ford, Gucci, Chanel and Balenciaga. Engaged to Klaxon's James Righton, Knightley will have wedding planning to be getting up to as well as appearing alongside Mark Ruffalo in 'Can a Song Save Your Life' and Chris Pine in thriller 'Jack Ryan'. It will be a busy year for Knightley!